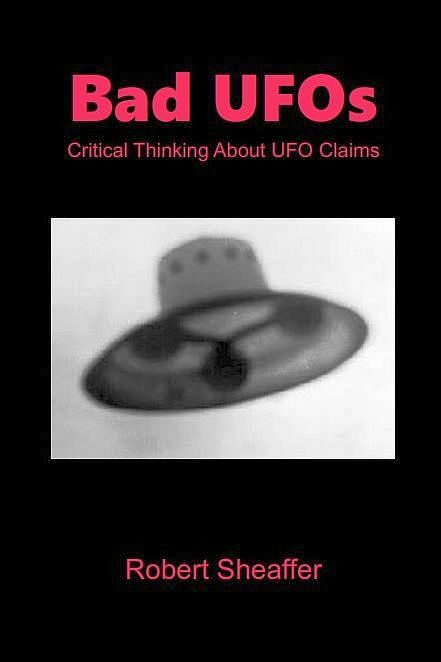 Bad UFOs: Skepticism, UFOs, and The Universe: UFOs In the Desert, Part 3. UFOs In the Desert, Part 3. Friday was the third day of the International UFO Congress in Fountain Hills, Arizona, the largest UFO conference in the world. My previous Blog posting covers the second day. Here is a link back to the first posting about the conference. The first speaker Friday morning was Dr. Michael Dennin, professor of physics and astronomy at UC Irvine. He explained many basic physics and astronomy concepts to the audience, such as light years, conservation of energy, general relativity, etc. Putting it all together, the prospect of interstellar travel looks pretty implausible for any society, no matter how advanced, so long as it must obey the laws of physics. Given how difficult interstellar travel is, Dennin said it is hard to imagine secret visits. But he did throw a few bones to the pro-ET crowd, that he admits to be "pure speculation." 1. A "warped highway" might permanently warp the space between objects by putting mass between them. He didn't say how many solar masses this might require. 3. Some societies may become relativistic nomads, and take extremely long interstellar voyages at relatively low speeds. Such voyages would be measured in the thousands, if not tens of thousands, of years. Next came UFO author Richard Dolan, speaking on "UFOs for the 21st Century." He mused about the past twenty years that he has been investigating UFOs. The internet, he says, has raised the noise-to-signal ratio, and he also noted the rise of non-physical, non-ET theories. (I've been investigating UFO claims for over forty years, and I know that non-physical theories were popular back then - Vallee's Passport to Magonia, Jerome Clark, John Keel, etc.) UFO "Disclosure" would truly rock our world. Dolan managed to bring in just about every loopy idea that has come up in recent years: ancient pyramids, crash retrievals, reverse-engineeered alien technology, a "secret space program," alien hybrids, telepathic alien contact, and mind control. Mention this the next time somebody refers to Dolan as a "conservative UFOlogist." The reason for the UFO cover up, he suggested, is because the secret of the UFOs' alien propulsion system threatens petroleum interests, the same claim that Steven Greer makes in the wild conspiracy movie Thrive. Are you ready for another 'alien encounters' TV series? The next speaker was the very interesting Marc Dantonio on "Photo and Video Anomalies: 2013 Update." 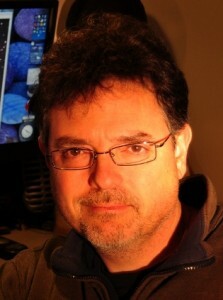 He is MUFON's chief photo/video analyst, and president of FX models. His company makes UFOs and other implausible things - for TV. Dantonio has upset some people in the UFO field, simply because his investigations of purported UFO photos and videos are so good. As an expert in special effects, it would be extremely difficult for a hoaxer to fool him. As I mentioned in Part 2 concerning the Thursday panel, Huffington Post Weird News reporter Lee Speigel receives many purported UFO photos and videos. He sends the interesting ones to Dantonio, who told Speigel that he had not yet sent over anything that's unidentified. He showed us photos and videos that show lens flares, aircraft operation, solar balloons, the blinking lights on a vehicle, a reflection on a windshield, blowing snow, a flock of geese, digital skywriting, a butterfly, and views of a tower from Google Earth, directly above it. Dantonio says that the testimony of the witnesses often does not match the submitted photo or video, so the witnesses often are unwilling to accept his analysis, insisting "I know what I saw!" He resolves the dilemma by explaining that his comments pertain to the photograph, not to the observation. "The purpose is not primarily to debunk the footage, but to illustrate that we must be very hard on the data in order to find the holy grail of UFOlogy." Amen, brother! This might make it sound like Dantonio is a skeptic, but he is not. He said that about 15 years ago, he had a traumatic encounter event, in which he awoke at night, paralyzed, and was menaced by terrifying creatures. I regret that, when I spoke to him later, I forgot to mention the well-known phenomenon of sleep disorders and hallucinations, which his experience describes to a "T." Wikipedia says, "Hypnagogic and hypnopompic hallucinations are symptoms commonly experienced during episodes of sleep paralysis." However, we did discuss some other weird science ideas that he suggests make interstellar travel possible, like the Alcubierre Drive, that supposedly moves space out of the way, and pushes it behind the craft. This supposedly would enable us to effectively travel faster than light. Next were Dr. Roger Leir and Steven Colbern, on "Alien Implants: The Tip of the Iceberg." Leir spoke first. He has performed 16 surgeries to remove implants from alleged alien abductees. His Alien & Scalpel Research is incorporated as a 5013c company, and does not charge for any of the surgeries. Leir described at length some weird events associated with surgery #15. The man had a small puncture wound on the underside of his toe, although this entry point is hardly necessary as aliens can "disassociate matter" and even move through walls. A&S went into full Ghost Hunter mode at the man's house, with radio frequency scanners, magnetometers, and radiation detectors. Many anomalies were discovered, including a magnetic monopole (something sought more eagerly even than unicorns), and magnetized wood and plastic. The man's wife was in a "constant state of denial" about all this. During the man's surgery, his implant kept moving away from the scalpel. It broke into twelve pieces; one disappeared. 48 hours after their removal, the remaining pieces reassembled themselves. Steve Colbern examines Leda Beluche for alien markings at the Alien & Scalpel table. Steve Colbern talked about the supposed alien implant removed during surgery #15. It is similar in appearance to a meteorite, and consists of carbon fiber nanotubes, a manufactured nanotechnology device of unknown purpose. 32 trace elements were detected, including iridium, and meteoric iron. One magnetic pole of the object is stronger than the other (which I think makes it a magnetic monopole, as well). The last session of Friday was a panel on "Ancient Aliens" with David Hatcher Childress, Dr. Michael Dennin, and Open Minds reporter Antonio Huneeus substituting for Jason Martel. If you've watched Ancient Aliens on the History Channel, you've seen Childress many times. He talked about out-of-place artifacts in rock strata millions of years old. But he said that they might have been planted by time travelers. Huneeus suggested that life on earth may have been seeded from space - deliberately. Dr. Dennin cautioned that round objects in the sky seen in old drawings and paintings are simply "generic" shapes. They are not structured, complex shapes - that would be more significant. In the evening there was a free Skywatch, hosted by Ben Hansen of SyFy's Fact or Faked?, and sponsored by Night Optics USA, a Bushnell company. Their hope was to sell some very expensive night vision equipment to UFO enthusiasts (their products cost thousands of dollars each). I suspect that they were disappointed. John Rao, the founder of Open Minds, drives his UFO spotting vehicle to the evening skywatch. The vehicle has two cameras. One is infrared, the other isn't. I have written before about the new fad for night-vision devices among UFO enthusiasts. Let's just say that many people are using devices they do not understand, and are making incorrect conclusions about what they are seeing. A good pair of binoculars will show you at least as many objects, and at far better resolution, than a night vision device. The audience watching Night Optics' displays, hoping to see UFOs. People stood in line for their turn to personally look through the different night vision devices. Meanwhile James McGaha and I had brought our portable telescopes, and offered views of Jupiter, the Pleiades, and the Orion nebula. On the big screen, a satellite or something was briefly noted but nothing of UFOlogical significance was seen all night. The cameras of the UFO spotting vehicles was pointed to the south. This ATV has been customized with dual cameras in the back. However, I am given to understand that these are not astronomical cameras, but instead are security cameras as are used by the Border Patrol to look for illegal border crossers, and do not have the resolution that is typical of astronomical cameras. Electronics in the UFO-spotting vehicle. Note "orb" on the screen. In the photo you can see the round object that Rao suggested was an "orb." It slowly drifted from left to right across the screen, and he would repeatedly bring it back to the left side again. It was obviously an out-of-focus star image, moving from east to west because the camera does not have celestial tracking to compensate for the rotation of the earth. Orbs don't usually last this long, he remarked, they disappear quickly. I had a green laser pointer, and laid it against the edge of the camera. The beam pointed exactly to Epsilon Canis Majoris (Adhara), a star of magnitude 1.5 (brighter than the stars in the Big Dipper) due south about 25 degrees up. This was his orb. James McGaha came by, and tried to show him how to focus the image. When that was done, the "orb" shrank down to a pinpoint size. Sounds like a mixed bag. Did Rao actually confuse a star for an orb? I think this is another case of a UFOlogist running around with a lot of equipment they don't understand or know how to work. It is sad really because they sound authoritative to the lay person but an astronomer (pro or amateur) can spot their mistakes in an instant. I am glad you brought some real astronomical equipment for night sky watching. BTW, I have been looking at what some security cameras (like Samsung's SCB-4000) have been doing in video astronomy these days. Pretty impressive stuff. Great reporting Robert. I think you should follow up with Marc Dantonio and write up your results in a blog. Such a shame that he is a believer. I would take Kitty Mervine's approach that whatever he experienced, it was a real experience for him. And probably very frightening. Then say something like, "look into sleep paralysis here is the WP definition, it seems to fit what you described"
I really want you to talk to some of the attendees and ask them about a few of the talks, I want to know how they handle when the lecturers give conflicting explanations about UFO's. I mean they can't all be right? And if one is wrong, then why can't they all be wrong? Susan, you are thinking much too logically about this. Most of the UFO proponents don't even see the contradiction. They just imagine a vague 'believer vs. skeptic' scenario, where any pro-UFO claims, no matter how bizarre, strengthen their case. If UFOs are from the future, then they're not also from the Pleiades, or Zeta Reticuli. (Although some would say there are many different aliens from many different places). The same is true of conspiracy theorists. If the Illuminati are in charge, then it's not the Rockefellers or the Reptilians. In Paranormal Logic, the quantity of claims is far more important than their quality or consistency. There is a small number of pro-UFOlogists I call "skeptical believers," like Dantonio, who realize that the great majority of UFO claims are worthless, but believe some to be true unidentifieds. They have accepted premises that I (and most physicists) believe to be wrong, such as 'wormhole travel' or engineering the warping of space, but their conclusions follow logically from their wobbly premises. They are not in the majority in a conference such as this. I am a 100% skeptic. But unlike you, Robert, I can not be close-minded because I've had 5 or 6 excellent sightings of strange aerial phenomena including one of a seemingly-foreign craft through binoculars that was as easy to identify as standing next to a parked car. I also videotaped one sighting while in New York City's Central Park. The difference between you and I is that I understand why you are a hard-_____ skeptic and I don't think you do. But to put it plainly, you are a true skeptic because you demand evidence and you haven't had a serious UFO sighting, yet. But you can't really deny ALL of the sightings not being something you haven't experienced and there is enough "physical" evidence in the form of thousands (in reality, millions) of photos, film, and videos. I bought your book "THE UFO VERDICT:..." and, trust me, you could have used my editing and logic to make your case. As respected as you are by most (here, at least), continuing to deny the reality of UFOs, across the board, puts you on the same level as the Hills: not truth as we know it, and you are on the opposite side, denying truth. "I've had 5 or 6 excellent sightings of strange aerial phenomena including one of a seemingly-foreign craft through binoculars that was as easy to identify as standing next to a parked car. I also videotaped one sighting while in New York City's Central Park." Could we see your purported "UFO" video? Extraordinary claims are easy to make; presenting veracious evidence for those claims to the world is much more difficult. To be blunt, Eddie, claiming to see "flying saucers" doesn't make it so. As I said to one who claimed to have seen a "flying saucer" over Malibu on a Sunday afternoon, "Don't you think other people would have seen it too?" So let us see evidence of your wild claim. Further, Eddie, the "UFO" non-issue isn't about our personal beliefs or a "skeptics vs believers" argument, it's about the totality of facts of the world. And there are no "UFO" facts, only perceptions of stimuli and culturally determined narrative creations, "UFO" REPORTS, which are plentiful. If there were real "UFOs" of any kind we'd all know it already—it would be impossible to keep secret—and it wouldn't be merely the subject of a dead and fossilized pseudoscience and the world's longest-running collective delusion. Eddie, the US military closely monitors near space continuously, there are no visiting ET spacecraft seen. This absence of evidence for the ETH is very good evidence against it. "ALL of the sightings...photos, film, and videos" are utterly inconsequential in the real world. Somehow believers in the "UFO" myth ignore this very obvious and fatal fact. Monday night I was reading a history of Mesmerism in 1840s England. Mesmerists were perplexed that written accounts of their claims were not found convincing by the public or the medical profession. However, people seemed to change their minds about the reality of the magnetic fluid when they saw a demonstration in person. Something about witnessing a mesmeric display was more convincing than reading a detailed report (Alison Winter, "Mesmerized: Powers of Mind in Victorian Britain," pp 157-8). 170 years later, there still is no physical evidence of magnetic fluid to corroborate the eyewitness testimony. We can safely conclude that the mesmerists and their subjects had deluded themselves, and that the witnesses were innocently mistaken. So history has shown us the error in your logic, Eddie. Why repeat it? I suggest you move on from that error and concentrate on producing an alien or a space craft. Either would convince me. I should add that when tested under tight controls, the wonderous mesmeric effects -- try not to be surprised! -- disappeared or were found to be caused by coaching the subject (Winter, pp 96-99). Where is Huneeus living these days? I'd like to get back in touch with him. Jim, Antonio is living in Phoenix these days and working for Open Minds. You can contact him there. I like Ancient Aliens even though I know that most of their "facts and translations" are no where near correct. In spite of the obvious flaws, they do occasionally bring up interesting points, such as the centuries old paintings with space craft in the sky. The site below explains that UFOs in the old paintings are a misinterpretation. And here's a link to the English portions of the full original website to which this debunker contributed after easily exploding one of the bogus "AA" claims made on the Internet. I like the way Steve Colbern examines a woman "for alien markings at the alien and scalpel table". 1. Would Colbern have recognised an 'alien marking' if he saw one? Is such a thing known to science? 2. Do hospitals or medical centers have such a thing as an 'alien and scalpel table'? At a first glance it looks as if the blonde woman is at a hairdressing salon. If the promoters of this "alien implant" nonsense were capable of conceiving the impossibly radical contingency necessary for it to be true, they'd begin to realize what an utterly absurd joke it is. Hey, tell me, what's this story in a 2011 Saucer Smear: [cda] Throws In The Towel...? Obviously you haven't — thankfully! ufoolery is history; make popular belief in the "UFO" delusion history as well. "The reason for the UFO cover up, [Dolan] suggested, is because the secret of the UFOs' alien propulsion system threatens petroleum interests,"
It's the "500 light-year per gallon secret-technology carburetor" conspiracy theory! How many people attended this 2013 "International UFO Congress"? How did attendance compare to previous years? I always find these skeptical typically rather dogmatic blogs rather amusing. To put my comment in perspective. I think we can all agree we find ourselves in the midst of an almost unimaginably vast mostly unknown place we call the universe. With literally trillions of possibilities in terms of other places to host life as we know it. We don't really get gravity. We make things up like dark matter and dark energy to explain phenomena we don't really understand. Yet in spite of this some people seem to find it hard to imagine that someone from elsewhere might have figured out all the above and have technology at their disposal that would appear to us to be almost magical in it capabilities. I think science still has a lot more questions than answers in some area's. So who are any of us to say what is and is not possible? Rick, we "got" gravity nearly a century ago. Ever hear of Albert Einstein and General relativity? Simply because there might be ETI, even starfaring ET, doesn't mean they're visiting Earth. It's a fairly simple issue, long since determined in the negative. UFOlogy, so-called exopolitics et cetera is full of junk and we all know it. The galaxy could be teeming with life (it probably is) that has developed interstellar spacetravel (I would guess less likely but nevertheless possible), it doesn't matter, that junk remains junk. By the same token, being skeptical about Bigfoot doesn't mean that you are ruling out the possibility of primates yet undiscovered. It only means that you are skeptical about Bigfoot and the associated lore. And I am not necessarily saying that it _all_ is junk, but a lot of it undoubtedly is and even if an alien spacecraft landed here tomorrow and proved its extraterrestrial origins beyond all doubt it wouldn't change that fact. Zoam you know as well as I do that general relativity does not in fact explain gravity. Were that the case where is the unified field theory? Sorry I am wrong it does in fact explain the effects of gravity but what exactly is gravity? Is it a particle? Is it a field? Is there a graviton particle? Have I missed something? I notice you had no come back on the dark matter and dark energy thing. JHA I fully agree there is more junk than fact. But all it takes is one case that is authentic to change everything. I know its hard to say we just don't know. But in my mind that is where we are in a lot of the biggest questions that face us all. There are a lot of cases in the UFO area that raise far more questions than answers and there is nothing long since proven in the negative. Could not disagree more Zoam with that assertion. You know for a fact ET has never been here? I seriously doubt it. No one can say that for an absolute fact. Lets say someone for what ever reason comes here has a look and leaves. Some guy see's a craft for a few moments and then its gone to who knows where. You know for a fact that has never happened? Exactly why is that an impossibility? Also JHA the universe is vast beyond comprehension with other solar systems with life far older than ours at least in my mind is an indisputable fact. Even Stephen Hawking has said the math makes it a certainty that life exists elsewhere. What if our civilization lasts another thousand years? Does anyone think we will be lighting a fire under a big tube to get into orbit? I sure hope not. Rick; Let's assume you're sincere, even though you're reciting the believer's list of fallacious appeals, mere rhetorical devices that can never make a legitimate argument. With some overlap and repetition these devices are: ignore the obvious and appeal to ignorance, what we don't know; appealing to the barest possibility when that possibility is so utterly implausible it's not worth considering; pretending that since our knowledge is forever incomplete and ambiguous, anything, however wild and fanciful, could be true; assuming the answer; non sequitur; appealing to extremes; appealing to hypotheticals. "what exactly is gravity?" Sounds like something I might have heard at the campus bar about 1970. I'm not playing Mr Wizard for you, but I will say that I've had a lifelong interest in astronomy and couldn't be more wowed by the absolutely fantastic advances made in our knowledge of the Universe in the last century. You might consider that fact. Rickscr: "Sorry I am wrong it does in fact explain the effects of gravity but what exactly is gravity?" If you bothered to think about it rather than hunting for "a real stumper" you would have realized that we can only explain things in terms of physical laws, of which gravity is one. It just is, exactly like the strong and weak atomic forces. The challenge isn't for someone to explain how/why it works, but for someone to explain why they think this law, extending as far as the telescope can see (gravitational lensing,) can be altered in any way. That would make it not a law, but an effect beholden to some other law (trait of our physical universe) which has left no other signs in the slightest. "You know for a fact ET has never been here? I seriously doubt it. No one can say that for an absolute fact." No one has, despite your claims of "dogmatic blogs." However, getting past some really astounding disingenuousness, you'll notice that the convention wasn't full of people merely entertaining possibilities - like the majority of UFO media, the overall message is that there is good evidence for alien visitation and devices implanted with "dissociated matter" techniques. Now, explain to me what kind of evidence would establish the ability to dissociate matter? Explain to me how Steve Colbern can examine someone for implantation scars, as if these would be immediately discernible from every other kind of minor injury we're prone to? These beings can disregard physics in amazing ways yet still leave behind scars? Instead of nice firm explanations, detailed evidence, and demonstrations that these investigators are both knowledgeable and meticulous, we have guys that can't even operate simple video cameras. Robert was respectful enough to actually attend and listen, and when he simply gave details about how scattered and insubstantial the "evidence" is, we get to see a response that ignores all of the significant issues and tries to appeal to "what we don't know." I'm well aware of what we don't know - what I want to see is what convinces the believers that they do. "But all it takes is one case that is authentic to change everything." Jeepers! Just one real spacecraft from another world? Saying it makes it sounds so easy. We'll all know it, if it ever happens. But what's certain is that it would be unlike anything imagined by popular-culture and as is represented in all of the "UFO" myth and delusion. "There are a lot of cases in the UFO area that raise far more questions than answers"
Name one, make it your favorite, I'll dismiss it in a word or two. You see, Rick, good skeptics have already debunked nearly every major case to my satisfaction many times over. Believers just ignore these completely rational, real world, mundane explanations and grasp at another phony "UFO" case that's never what believers pretend it to be. Then they recycle these thoroughly debunked "flying saucer" fairy tales repeatedly. Arnold: Hoax! Trent: Hoax! Trindade: Hoax! Hills: Small group scare and confabulation. Cash: Hoax! Terauchi: SGS and confabulation. RendleSham: SGS first night, then Halt's Hoax! "and there is nothing long since proven in the negative." If you really think that the "UFO" non-issue is even remotely undecided then you're suffering under a popular-culture delusion that has absolutely nothing to do with anything real. Belief in the "UFO" myth and delusion is fundamentally absurd since it's based on a mass of insubstantial, mostly unsubstantiated and wholly inconsequential confabulatory narratives about the failure to identify an ambiguous visual stimulus—a Negative! There are tens of thousands of these so-called "UFO" REPORTS, there just aren't any real "UFOs." It's as irrational, naive and frivolous as believing in "unicorns from outer space." "Could not disagree more Zoam with that assertion." It's not an assertion, it's a fact. There is zero evidence for anything extraordinary. There never were any airships, phantom balloons, ghost rockets, flying saucers or "UFOs" of any kind, much less visiting ET spacecraft. Over a century of "UFO" REPORTS has a very mundane explanation: Robert Sheaffer's Null hypothesis for "UFO" REPORTS, and the complementary Psychosocial hypothesis describes the history of the "UFO" delusion. "You know for a fact ET has never been here? No one can say that for an absolute fact." There is no evidence that they have, period. And absence of evidence is extremely good evidence of absence. Not impossible, but just so utterly implausible given the thoroughly radically contingent reality negating the proposition. Simply because we are here by one happy accident of self-consciousness to reflect on the Universe, doesn't mean that there is another sentient creature in the entire Galaxy. And given the insurmountable obstacles to interstellar travel: distance, time, life support, and innumerable, random cosmic hazards, the chance that hypothetical ETI have ever visited Earth is so very small the idea is pure fantasy. A dozen exceptions to the Fermi paradox are more reasons we will never meet. "Lets say someone for what ever reason comes here has a look and leaves. Some guy see's a craft for a few moments and then its gone to who knows where. You know for a fact that has never happened? Exactly why is that an impossibility?" See all above from the start, Rick, you've defaulted to ignoring the obvious facts of the world, appealing to ignorance, what if, and all the other fallacious appeals along the way. Hi Zoam. Could you please explain SGS? What is it? Thanks. "Collective delusions are typified as the spontaneous, rapid spread of false or exaggerated beliefs within a population at large, temporarily affecting a particular region, culture, or country." "The primary witness...almost always holds an influential social position...and is the one who interprets the [ambiguous] stimulus as a potential threat. In each case, the group soon reaches a bogus consensus that the object is pursuing them. The ambiguous stimulus is then rapidly defined with popular cultural labels (Bigfoot, ET spacecraft...). "Small group scares often occur during UFO waves" and all that remains is the synthetic confabulatory narrative they've created to "explain" the event and their behavior in the absence of evidence or an objective observer. --UFOs & Alien Contact, Bartholomew & Howard, 1998, pp 214, 219 & 228. In my deconstruction of hard-core believer and repeater Terauchi's fit of "UFO" hysteria over Alaska, I made a point of how the two "scout ships" far ahead of the 747 aircraft somehow were transformed into a "giant mothership" on its tail. Funny Stuff! Thanks for asking! I found the ATV vehicle was interesting. It seems more fitting for Bigfoot hunting than alien hunting. Why not enjoy looking at the night sky, for things we DO know. You miss out so much scanning for UFOs. Expensive gear, no one can afford unless they have a TV show, is not going to help find aliens. (Unless they are running around in the woods looking for Bigfoot). It might be wrong to think so, but I could not help but feel bad for John Rao, tooling around in his little vehicle. It brought to mind a guy proud to be invited to a celebrity's home for Thanksgiving dinner, then instructed to sit at the kids' table. On a different note, I am surprised at the group searching for alien craft so diligently. Aren't they afraid to be targeted for abduction? I can't believe anyone giving credence to Phil Klass. It just seems like his late years ignored so much of his early years objectivity. UFO Sightings Debunker Claims UFOs Are Not Real!